APT Yard, Harold Wharf, 6 Creekside, Deptford, London. Aug 2010. 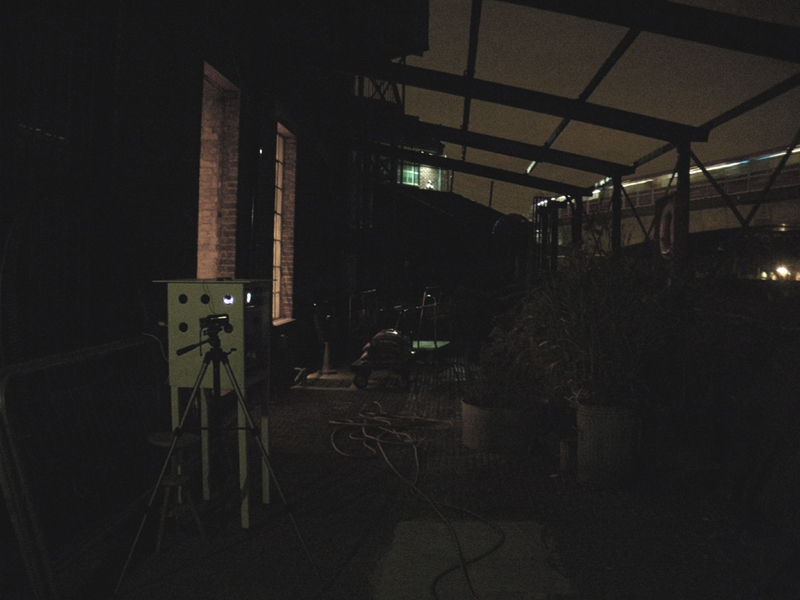 In Night Frequencies 1: Deptford Creek 20-08-10, sonic frequencies were filmed responding live to situated sounds on a midsummer Friday night in Deptford, SE London. 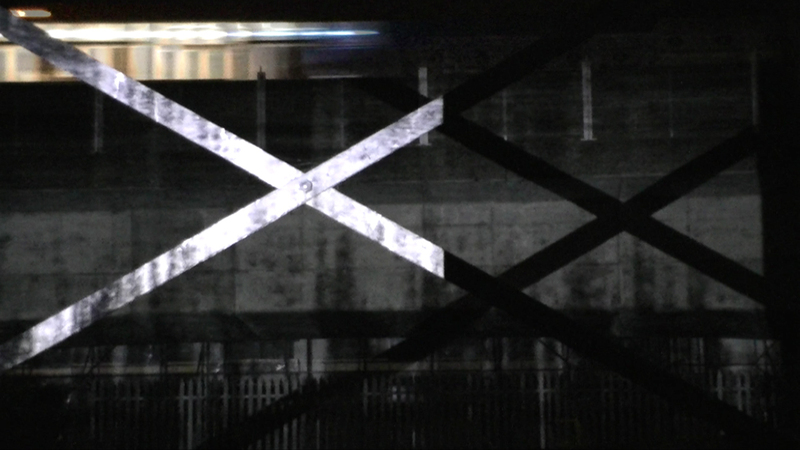 The sounds of trains, police sirens, airplanes and wind in the reeds are visualized as sonic frequencies passing across various architectural structures. 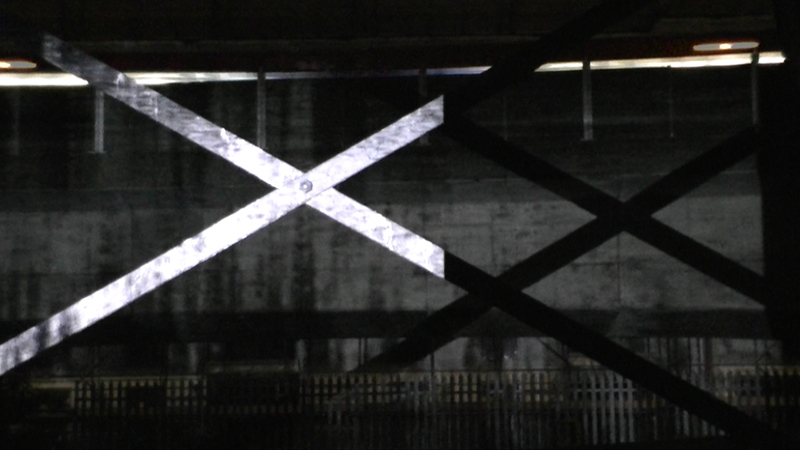 The camera and projector were sited within the yard at APT Studios, beside Deptford Creek. Deptford is a place where artists, designers, experimental musicians, and film makers choose to work, within the lively cultural community living there. 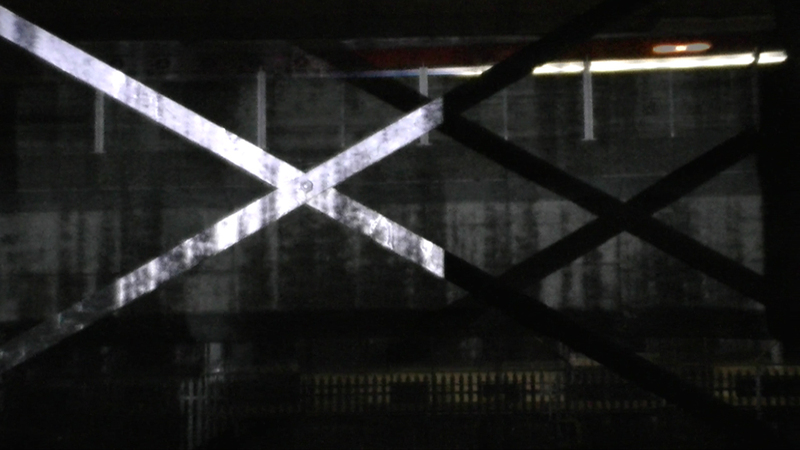 The sonic frequencies were projected onto the nearby metal structure of an X, part of APT’s 19th century industrial structure. 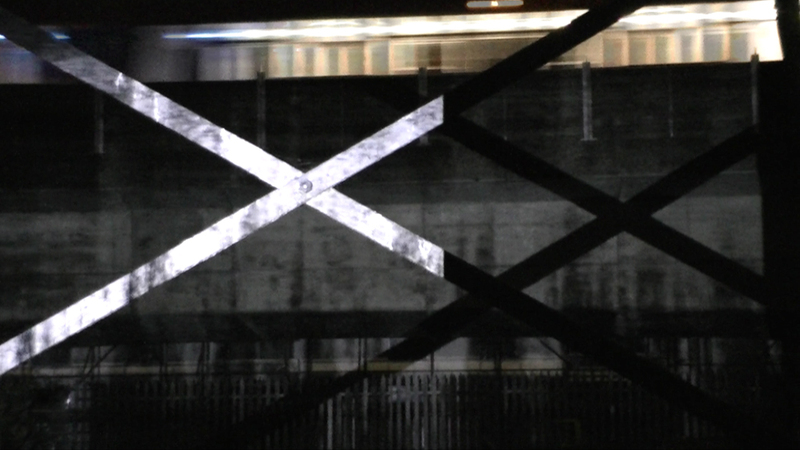 The shadow of the X falls onto the London Docklands Light railway and a new eleven story hotel being built on the other side of the creek in Greenwich - this is one of many developments in London being built to cater for the 2012 Olympics. The creek forms the border between these two communities, although the soundscape is common to both.